Rochester Museum & Science Center this month opened "Science + You," a new interactive kids' exhibit that explores the impact that science has on health and wellness. The exhibit is a child-sized pharmaceutical lab with eight sections and is presented in both English and Spanish. Through eight hands-on stations, kids will learn about sterile science environments; the role played by antibodies; measuring, mixing, and separating substances using lab equipment; examining objects with video microscopes; how to maintain a balanced, healthy lifestyle; and more. 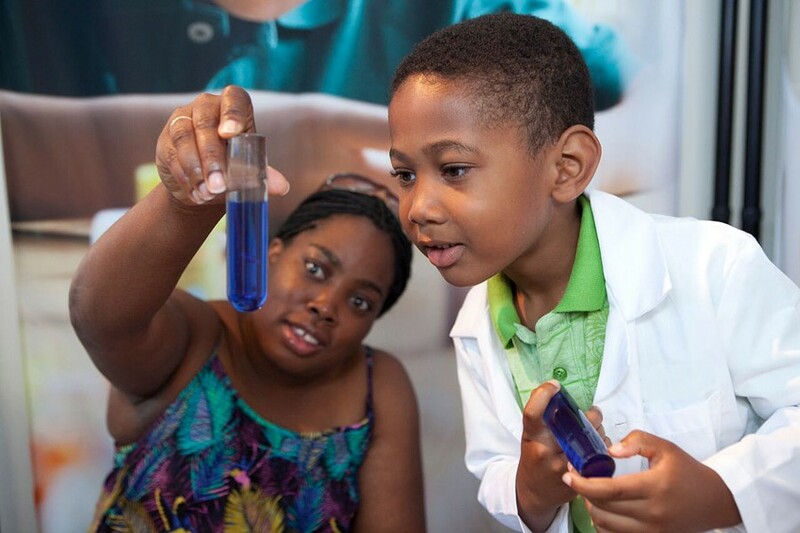 "Science + You" continues through Sunday, August 5, at RMSC, 657 East Avenue. Included in museum admission: $15 adults, $14 seniors and college students with ID, $13 ages 3 to 18, free for children under 3 and RMSC members. 697-1942; rmsc.org.